You like your home. You’re comfortable there - maybe it was the first house you moved into after getting married or the place that you’ve raised your children. But lately you’ve been thinking that it might be time to move into a larger (or smaller) home or maybe a nicer neighborhood. And with so many amazing homes on the market right now here in Indianapolis, it’s definitely tempting, right? 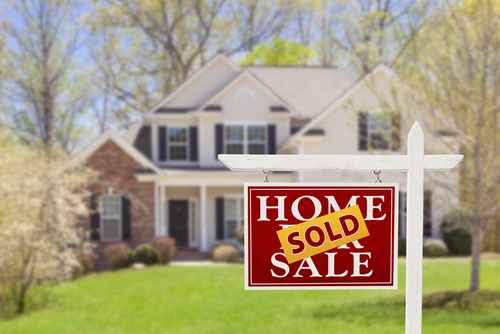 With the housing market as fragile as it has been over the past several years, you might be wondering if this is the best time to sell your home. After all, you don’t want to make a financial mistake. You begin to wonder, is this the right time to sell? There are definitely better times to sell a home, which we’ll touch on in a bit. But before we get there, let’s talk about why you want to sell. The two-year-old’s favorite question: Why? The big question you need to ask (and answer) for yourself is why you want to sell. If you’re being relocated with your work, you obviously don’t have much of a say in this matter or timing. But if you’re making a lifestyle change, you have more control over the timing, which means that you can strategize accordingly. If you are in a buyer’s market, then the seller is at a disadvantage. You want to be absolutely sure that the move makes sense. In the end, if you decide that you are ready to sell, there are certain factors about your local market to keep in mind. For example, recent layoffs could mean an influx of desperate sellers, which could drive down the market price of your house. On the other hand, if prices in the area are on the rise, it can create a rush of buyers who want to close a deal before the prices continue to go higher. Anticipation of an increase in interest rates can have a similar impact on the urgency of buyers. Listing your house at the right time could mean more money in your pocket. It’s important to pay attention to our local housing market here in Indy and try to list during a seller’s market. That way, there will be more competition among buyers for your home - which could mean a better price, a quicker closing and fewer conditions on the offer. That being said, home sales tend to be a bit seasonal, so let’s take a look at some of the seasonal advantages. Traditionally, Spring is the hottest season for real estate. People have just received their tax refunds, which they can put toward a downpayment. Sales peak in April and May and tend to stay strong into June and July. It’s an obvious time to move since it’s between school terms, and the weather tends to be warmer. The beautiful flowers of spring and early summer also make it an ideal time to show off the landscaping of your yard. According to Lending Tree, 60% of America’s moves take place in the Summer. But closing a sale can take weeks, so it’s a good time to list your home early in the season. August brings a bit of a lag in sales since people tend to squeeze in one last vacation before school starts. Home sales surge briefly in the Fall before dropping a bit in winter as buyers and sellers are focused on the holidays. In temperate climates, like California and Florida, people house-hunt year-round. But Indianapolis obviously has some more defined seasons which can make Winter moves less desirable. That being said, if you can’t sell during the peak season, consider listing your house in the Winter. You probably already have your house decorated and cleaned for holiday entertaining, so it shouldn’t be too difficult to get into shape for showings. And since you’ll likely have less competition on the market, you may get a better price in the end. Another perk: buyers in the winter are less likely to waste your time or draw out the closing. They may want to close before the New Year so that they can claim the mortgage deduction on their tax return, so you might be able to use that for your advantage in pressing for a quick deal. By January, buyers are sometimes out again. We consider it the power of the new year. People love to bring in new life changes with the new calendar year. Bottom line: properties sell year ‘round. If you decide that it’s time to sell your home - for whatever reason - then take the plunge and put your house on the market. Need assistance? We're here to help.